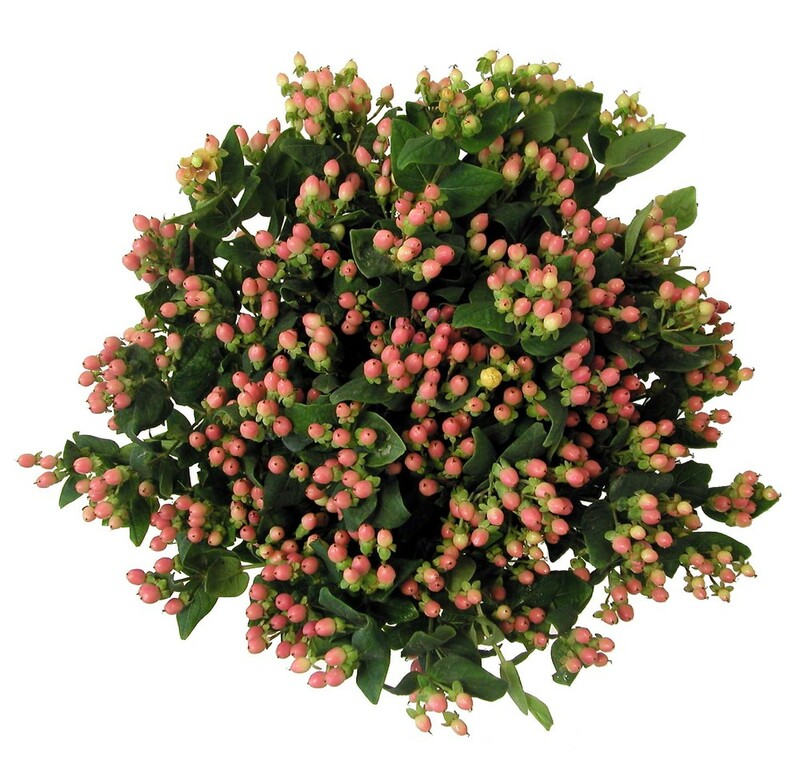 Hypericum adds a burst of color and a fun, modern textural element to arrangements. What was known as primarily a burgundy colored, berried branch is now available in many colors. HISTORY: During Roman times Hypericum sprigs were placed as offerings on the statues of Gods. 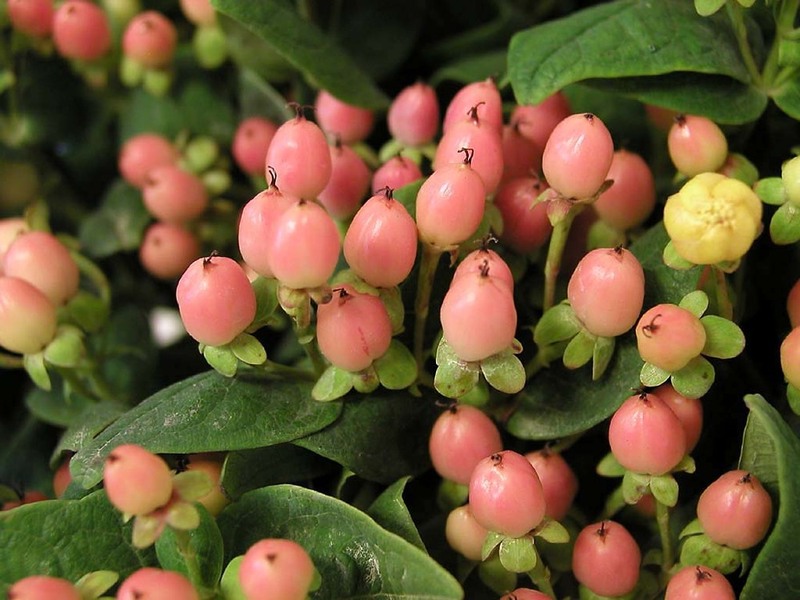 In the Middle Ages, Hypericum was used to ward off evil spirits. St. Johns Wort is used in homeopathic and herbal remedies. COMMON NAMES: St. Johns wort, Goat Weed, Tipton Weed, Tutsan, and Aaron's Beard. DISPLAY: Excellent for textural, botanical effects in floral arrangements.